The Hitachi CV 18 DBL multi function tool is a compact and handy device. It convinces with the brushless motor (brushless). Equipped with an electric brake and soft-start device. In addition, the device has an LED light which is a better view of the material. G18DSL Hitachi. Nombre Del Producto : Hit G18DSL. botón de potencia de 18V con baterías de litio. los buques no técnicos a laen toda Italia asegurando rapidez sin precedentes El movimiento es casi instantánea. Nombre Del Producto : Hit KIT de G18DSL. Molino ligero, práctico, robusto. El alto esfuerzo de torsión, igual a < abarcan clase = notranslate ' > 1.25 Nm, permite un trabajo rápido y de gran alcance del corte ese borrón de transferencia. Solo multi brushless batería del herramienta función del Li-ion Hitachi CV18 DBL 18V sin batería. 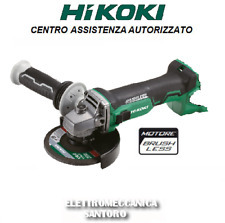 La herramienta de función múltiple Hitachi CV 18 doble es un dispositivo compacto y práctico. Convence con el motor sin escobillas (brushless). COMPAÑÍA AÉREA DE LA HITACHI DE LITIO BATERÍA G18DBL LIJADORA ÚNICA SIN CEPILLO DE LA MÁQUINA. PRINCIPAL AVIÓN DE LA COMPAÑÍA HITACHI POWER TOOLS INTRODUCE Y VENDEDORES DE ENERGÍA. sustitución de los bienes. G18DBL 5 VOLTIOS 18 AH AVIÓN DE HITACHI BRUSHLESS BATERÍA SANDER DE LA COMPAÑÍA EN MALETA. PRINCIPAL AVIÓN DE LA COMPAÑÍA HITACHI POWER TOOLS INTRODUCE Y VENDEDORES DE ENERGÍA. sustitución de los bienes. 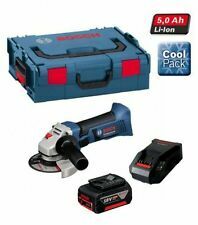 G18DBBVL 5 VOLTIOS 18 AH MALETA DE HITACHI BRUSHLESS BATERÍA SANDER. MPN HTM93200476. sustitución de los bienes. Ejercicio el derecho de desistimiento usted puede elegir entre una de las siguientes opciones . AMOLADORA ANGULAR EN LA BATERÍA DE LITIO CUERPO G18DSL ÚNICA MÁQUINA HITACHI. Y HERRAMIENTAS ELÉCTRICAS LÍDER VENDEDORES DE LA ENERGÍA DE HITACHI. SI NO EL ARTÍCULO SE ENVÍA CON LA RECEPCIÓN. - LA CANTIDAD EXCEDE EL LÍMITE DE LA TARJETA (EL LÍMITE Y 'VARIABLE DEPENDE DE SU TARJETA). Genuine hitachi UC12YF battery charger in excellent fully working Condition Please see all pictures as they form a large part of the description and show exactly what you will receive Any questions please send via eBay messenger for a prompt response Dispatched promptly with Royal Mail Signed For® 2nd Class. The Hitachi G18DSL is a high spec 115mm Angle Grinder which uses high capacity 5.0Ah Li-Ion batteries. Its multiplex protection circuit maximises battery life. 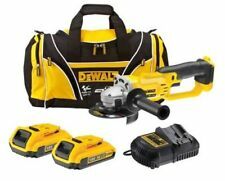 The G18DSL Angle Grinder is supplied with the following. 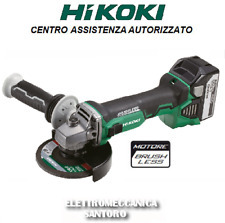 HITACHI 18V Cordless 115mm Angle Grinder (Bare Unit). 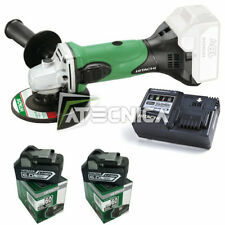 HITACHI G18DSL/L4 18V Cordless 115mm Angle Grinder ( Bare Unit ). 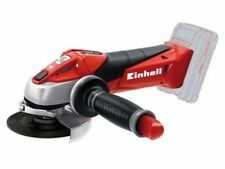 HITACHI G 18DSL /L4 18V Cordless 115mm Angle Grinder Specification G18DSL4 115mm Angle Grinder 18 Volt Bare Unit. 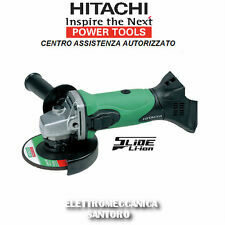 1 x Hitachi G18DSL/L4 18V Body Only Angle Grinder. 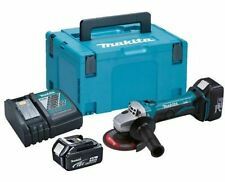 G18DSL4 115mm Angle Grinder 18 Volt Bare Unit. Abrasive wheel. We take our reputation seriously.